The Downrive Business Association. known as DBA was created in November 2005 with the sole purpose to help local businesses interact and support one another…. People do business with those that they know, like and trust! We started with a handful of business owners that believed in our concept and grew from there, mostly on their recommendations to other local companies to join us. Today we stand 300+ members strong and grow based on the recommendations from our members. Becoming a DBA Member will not only improve your business but will also give you an opportunity to be part of an amazing community within the organization. It has always been our priority to help the businesses in Southeast Michigan succeed. Our Members take advantage of the many monthly networking events, community / business expos, online advertising and much more to improve their business. DBA also reaches out to the general community in an effort to continue supporting local businesses. We offer a sense of community and camaraderie – our Members are not only fellow business owners but your neighbors! They go out of their way to support and take care of each other. Supporting local businesses has been the foundation of DBA from the start and our membership base really does take that seriously. Supporting our local business community and spending our money with them will help to create more jobs within the community. SHOP LOCAL!! 4/25 - Book of the month meeting! This month we have chosen The Power of Moments - Chip Heath and Dan Heath. You can purchase the book on Amazon by clicking here. 5/6 - DBA Women's Group Speed Networking: Join us for our monthly women's group event... Speed Networking is the topic for May! Come participate in this high energy, fun way to meet more women in two hours than you can at a typical networking event. Only $10 to participate ~ drinks and appetizers will also be served. Space is limited to 50 ladies - so please reserve your spot today! 5/21 DBA Community Expo & Health Fair - Please join us for our annual Community Business Expo on May 9th from 5-8 pm. The event will be held in two adjoining rooms and we will have over 50+ vendors! 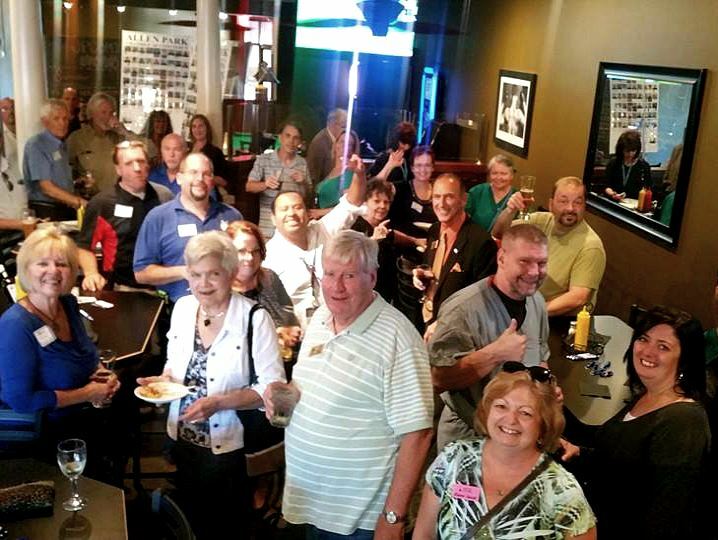 6/19- DADBA Eveing Mixer - Join for our monthly evening mixer. This meeting begins at 5:30pm. 6/26- Join us for our monthly lunch meeting. This meeting starts at 11:30am and lunch will be on each individuals own tab. 7/25 - Book of the month meeting! This month we have chosen Hug Your Haters - Jay Baer. You can purchase the book on Amazon by clicking here. 8/21 DBA Eveing Mixer - Join for our monthly evening mixer. This meeting begins at 5:30pm. 10/2- Join us for our monthly breakfast meeting. This meeting starts at 8:00am and breakfast will be provided by our host.